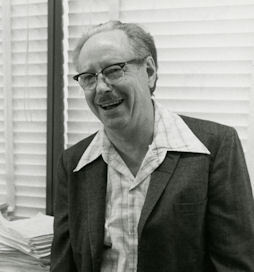 The Kuntz-Swinehart Memorial Scholarship, first awarded in the spring of 2011, was established by UO class of 1959 members Gary D. Christian, Jerry D. Christian and George H. Kennedy in memory of Professor Donald F. Swinehart, and by Abe Perlstein, class of 1949, and Martin Ovitz in memory of Professor Adolf Henry Kuntz. 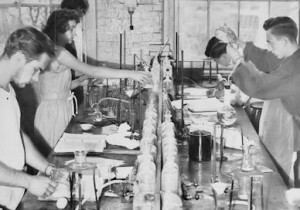 These former students desired to honor the professors whose instruction, influence and inspiration had a significant impact on their career paths, and to recognize and encourage academic excellence in UO Chemistry and Biochemistry majors. 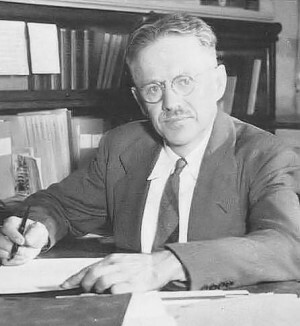 Dr. Kuntz was a chemistry professor at the University of Oregon, and served as department head from 1941 to 1956. “I always felt that Professor Kuntz was central in giving me the confidence to pursue the field that I ultimately did pursue,” says Abe Perlstein. When Dr. Perlstein went on to study psychiatry in medical school, he recalls that “I didn’t know anyone from my medical school class who had a chemical education better than mine, and most of them didn’t have one that was comparable to it.” Fellow donor Martin Ovitz also credits Dr. Kuntz as greatly facilitating his ability to pursue a career in medicine. 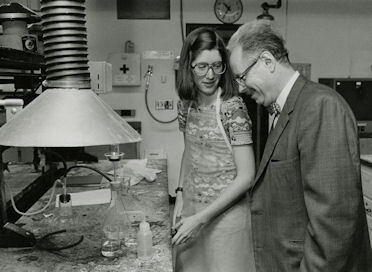 Dr. Swinehart was a chemistry professor at the University of Oregon from 1946 to 1983. “He was an absolutely superb teacher, a real stickler for detail, with a reputation as being tough, but we survived and thrived under him,” says Gary Christian, emeritus professor of chemistry and divisional dean of sciences at the University of Washington. Jerry Christian, a retired Idaho National Laboratory Scientific Fellow, recalls Swinehart inspiring his students in chemistry and providing career motivation for a number of them. George Kennedy, emeritus professor and former head of the chemistry department at Colorado School of Mines, notes that he and the Christian brothers all remember Dr. Swinehart as one of the best professors they ever had. The Kuntz-Swinehart Memorial Scholarship is awarded annually in recognition of academic excellence to one or more undergraduate students majoring in Chemistry or Biochemistry. Applications are solicited during spring term, and the typical award amount is $1000.